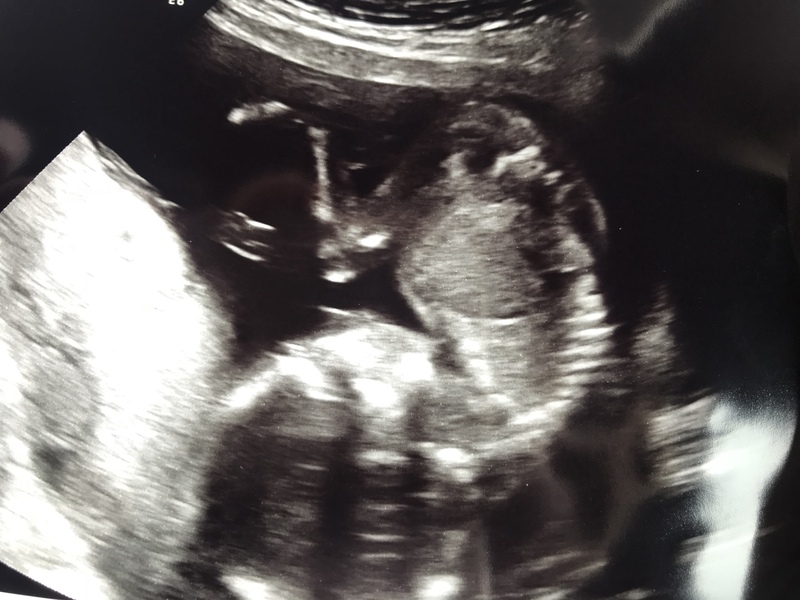 Sorry it’s been a couple of weeks since my last post, in the beginning there seemed to be lots to post about every week, but now I’m more settled and getting on to 5 months pregnant I’ve decided to write a pregnancy diary entry every couple of weeks instead. I’ve been so busy the last couple of weeks with work I’ve not had much time to do anything else! Now my home clients know I’m going to start lowering my work load they all seem to be booking in like crazy!😂 so as of next week I’ll be having a few evenings to myself rather than working at the barber shop 3 days and then coming home and doing my home clients all afternoon/evening every day, so I’m looking forward to chilling a bit more! Emotional state- I’m not too bad, very emotional to sad things. And my fuse is still short just FYI. 😂🤷🏼‍♀️ the joys of the emotional rollercoaster through pregnancy hey!! I am though having some very VERY strange dreams at the moment. And I can have up to 2-4 dreams in a night so I’m waking quite a lot recently. Cravings- ok so craving fruit which isn’t surprising for me because I craved fruit and veg while pregnant with Connor. The only weird thing that’s going on with me at the moment is I could stand under a hot shower ALL DAY LONG! All day I think about getting in a really hot shower. The cheese craving is still going strong and I’ve allowed myself a cheese sandwich and 2 babybells a day, I’m trying to stick to it!! Things I’ve learnt from my googling obsession- this week I’ve been googling different things, but mostly about my tummy. It’s at that stage now where one day it’ll be rock hard standing up and laying down, and then the next day it goes soft again at periods through the day. So google informed me it can carry on like this up to 25 weeks but you’ll most probably start seeing a change by 20weeks so 2 weeks to go! Tummy changes- apart from the above the only other change is I’ve definitely “popped” this week. Baby bump is fully visible and I’ve had people at work comment and question it! So that’s something I guess 🙄🤷🏼‍♀️. Everyone keeps telling me how different your second pregnancy is but mine really is completely different this time. I feel like I’m showing earlier this time, my emotions are different this time and I’m uncomfortable a lot sooner than last time. Baby is low and closer to my back this time round so I’m finding him lying on nerves and I’ll ache or get a shooting pain in certain places during the days. The plus though is I can feeling him wriggling around now and if I press mine or Luke’s hand on my tummy we can feel him move on our hands because he’s so active. This one is the same as Connor to the fact that once I’m still or led down it turns into a little danceparty in there! I’ve vowed to myself this pregnancy to try all the things I didn’t try while pregnancy with Connor. When I had Connor I was only 19/20 so I felt really isolated at times, not having any friends with kids, luke working all week and I didn’t want to do ANYTHING on my own. So I missed out on all the classes pre and post baby, I didn’t do any mummy clubs or anything like that so this time round I’m going to do it all! It’s really cool because my best friend has just had a baby girl, and my cousins wife is also pregnant and our due dates are only 1 day apart! Even though this mister will be with us at least 2-3 weeks earlier than my due date, it’s really nice having someone else going through all the same things! So I’m roping her into pregnancy yoga as soon as i find a class we can attend!! I also want to try meditation and an anti natal class for me and Luke one evening even if it’s just for the giggle and an hour to spend together 😂. I’ll keep you posted on what I find…….. Fascinating read. Keep them coming.